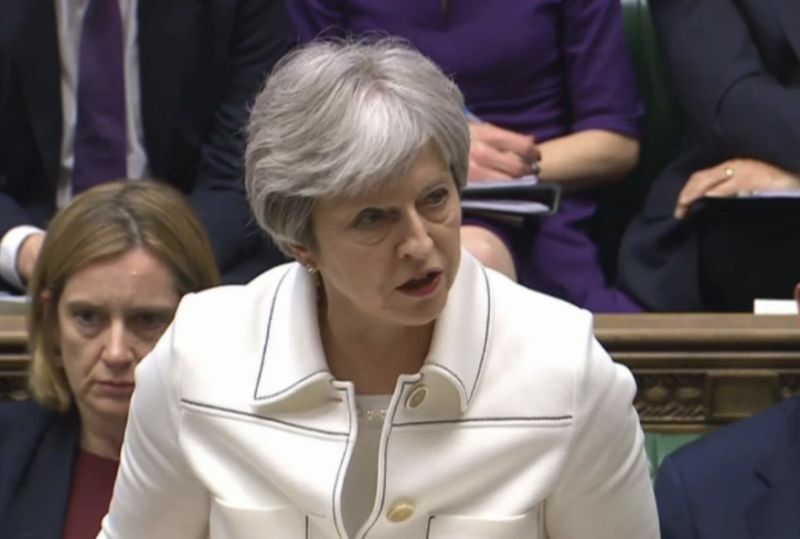 British Prime Minister Theresa May told restive lawmakers Monday that military airstrikes on Syria were right both legally and morally, and she accused Syria and its ally Russia of attempting to cover up evidence of a deadly chemical weapons attack. May faced down her domestic critics as France's premier defended the "proportionate" response to the use of chemical weapons. European Union foreign ministers united to say they understood the need for the airstrikes and called for a new push for a political solution to the war in Syria, according to AP report.